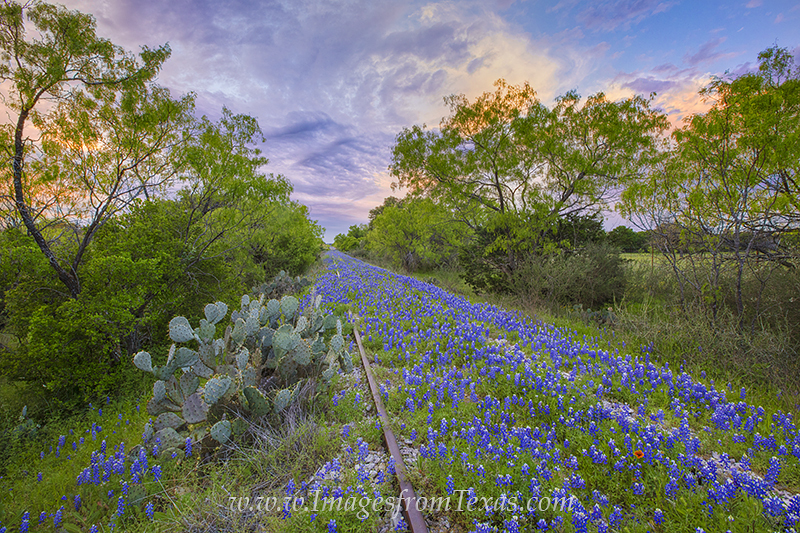 Bluebonnets, along with a single Indian Paintbrush, fill in the path of an old traintrack in the Texas Hill Country. I got lucky with the light on this morning. The sun was behind me and storms raged to the north, but there was enough sunlight to illuminate the high clouds to the west. Photo © copyright by Rob Greebon.